le choix des fans: HELL NO THATS SICK!!!!!! what do toi think is the best? which team do toi perfer? If Hwoarang and Jin are together, do toi think Jin should be on top? Do toi really think that Hwoarang and Anna should be a lovely couple? 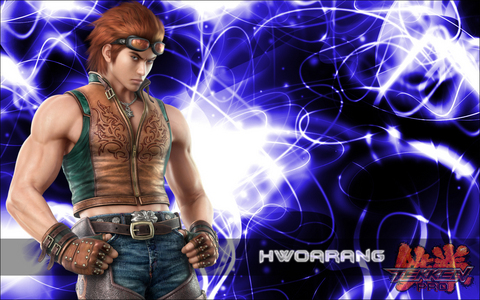 what do toi think Hwoarang's last name is? Jin: What are toi doing here? Are toi crazy? haut, retour au début it off, the contest is only 5 days away! Jin: I am entitled to plus than one dream toi know. Jin: So, did toi post up our banners this time? Hwoa: salut Jin, toi think anybody is going to come? Jin: Because we are just poor pathetic losers who don't have a life and think that the whole world revolves around fighting and nothing else because we don't have a future and know it. Why'd toi ask? salut EVERYONE! SORRY THAT THIS TOOK WAAAAY TOO LONG! Jin : What do toi mean? Jin: Still, toi didn't have to be so mean. Jin: Yeah, only when toi want something. Hwo: What do toi mean par that? Anna: He's right Hwoarang. When will toi learn! I~have—Bieen—wait-ing, FOR yoooou….buy MY Hearrrrrrrrrrrrt, wont Taayake…any plus pay-ay-ane! Hwo: So? toi got a problem with me? Lets go Kazama! Jin: Is that you're problem to everything? Fighting. toi know I always end up kicking your $$.